When Troy Taylor asked me to speak at this year’s Haunted America Conference, my jaw crashed into the ground. When I started to explore paranormal investigation in 2000, Troy Taylor’s book The Ghost Hunter’s Guidebook was the only excellent resource out there, along with his website featuring stories from all over the United States. He was also the first to argue that early digital cameras were useless in paranormal investigation until 5 megapixel came along. Bad digital photography is to blame for much of the “orb epidemic” and horrible paranormal photos that have thrived on the Internet over the past 15+ years. Now cell phones are contributing in horrible new ways…but I digress. As part of Ghostly Talk Radio, we traveled extensively to paranormal conferences from 2005-2009, and we tried to never miss a Troy Taylor event. I first met Troy at a conference in Gettysburg, Pennsylvania. I was nervous to meet one of my favorite paranormal authors and was so excited to pick up a book and have him sign it. I looked down at the inscription he wrote in my book. It simply read, “Happy Hauntings.” When you sign a ton of books, keeping it short and sweet is sometimes easiest, but if you ever pick up a signed book from me and I write “Happy Hauntings,” know that it’s a nod to the first paranormal author who inspired me to write my stories down. 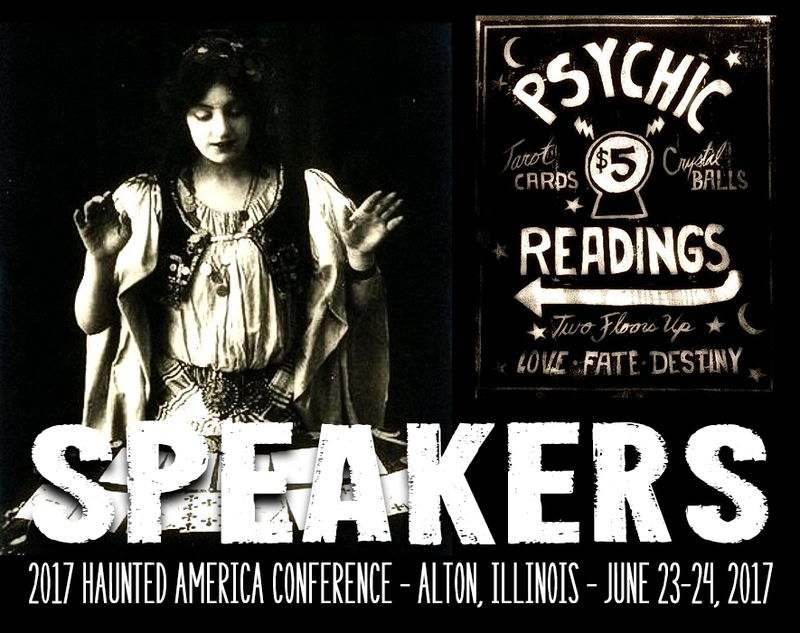 The Haunted America Conference is the longest running paranormal conference in the country. This year it turns 21, so the conference is officially “old enough to drink.” It’s a wonderful conference in Alton, Illinois and I highly suggest if you are looking for a great event to go to, make it this one. Not only are the speakers excellent, but the after hours seances, workshops, tours and ghost hunts are amazing. While I may not be nervous hanging with Troy anymore, I will be giddy stepping onto his stage for the first time, hoping to entertain and inspire with my Morbid Tales. I’m looking forward to it.